SOURIAU - SUNBANK Connection Technologies is a global leader in the standard to custom hermetic solutions. Hermetic connectors were originally designed for the aerospace industry, but are increasingly being used in industrial sectors where the connector needs to be capable of withstanding harsh environments and extreme working conditions. 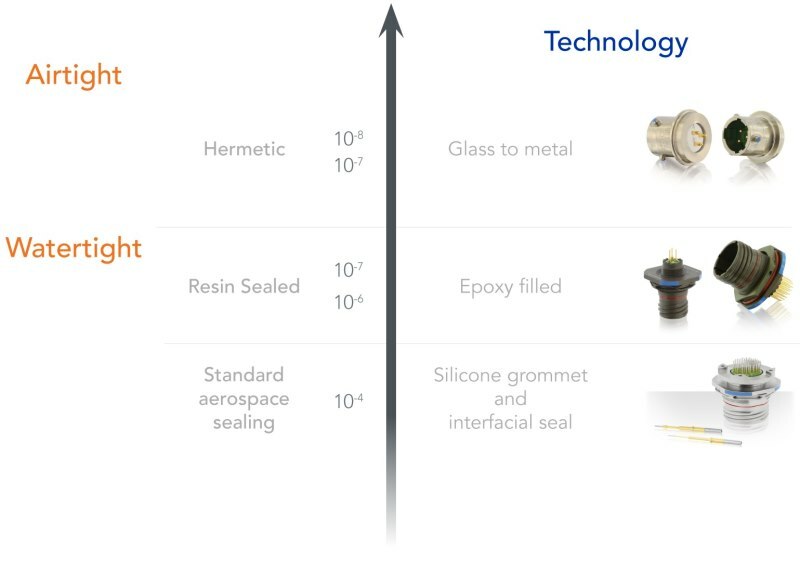 The highly-engineered sealing, based on glass to metal technology, has been managed in-house for more than 50 years, and allows connectors to be used in a very extensive range of temperatures ranging from cryogenic to aircraft engine environments. Because reliability and high performance are required by markets like aerospace, military or motorsport, the glass seal solution proposed by SOURIAU guarantees users that their critical equipment remains free from any contamination. Our hermetic connectors are designed to meet the requirements of international standards including MIL-DTL-38999, EN2997, EN3646, MIL-DTL-26482 and MIL-DTL 24308. The leak rate that is required by these standards is 1.10-7 atm.cm3 / second, SOURIAU connectors however go the extra length to prevent leaks at a rate of 1.10-9 atm.cm3 / second, ensuring that critical applications operate in a safe and secure working environment. Our tests are conducted using helium which has the smallest molecules, making it the most prone to leaks. 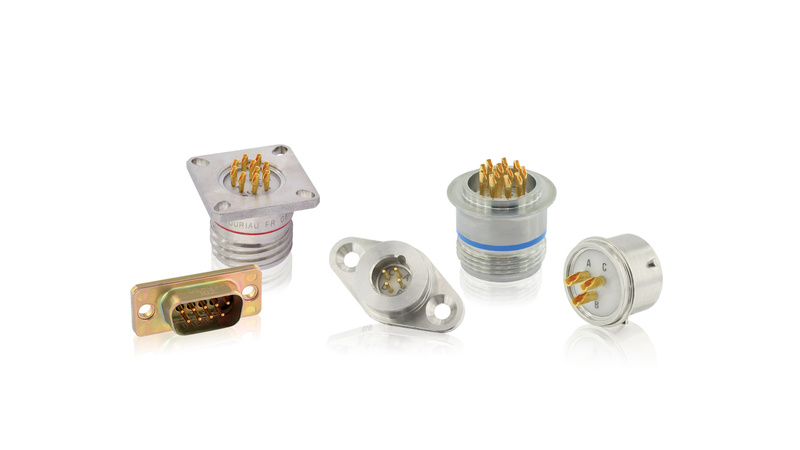 To support customer specific needs, hermetic connectors can integrate custom features including specific shells, various materials, crimped contact termination, fuel tank material selection and many others. SOURIAU - SUNBANK Connection Technologies is also able to go even further out of standard productions by proposing micro miniature connectors, feedthroughs or glass seal solutions directly integrated into customer material. You can find below a selection of our hermetic connectors, and can contact us if you need more information or require a quote by clicking here. You can find out more about our hermeticity technology here.